A Mysore based start-up SpicyBite.in is an on- online, takeaway/ home delivery food ordering marketplace group founded in 2017 by experienced techies, foodies, and Home Science professionals. SpicyBite.in has experience and trained chefs and also have the exclusive delivery personnel for fast deliver the orders from customers and deliver it to target ON-TIME. Also having the commitment of NO-MINIMUM ORDER gives customers the flexibility to order verities of food. Currently, we are offering Pizzas, Pasta, Burgers, Starters, and Milkshakes. Our menu is not fixed and we will change the menu items often, accepting online payments, Cash On Delivery and have a tie-up with all major e-wallets. Our delivery personnel carries one order at a time which ensures we get reliable and fast deliveries Currently, we are accepting food orders through the Android app, iOS app, and WhatsApp. Your diet is a bank account.Good food choices are a good investment. What Problem does Spicy Bite Solves? 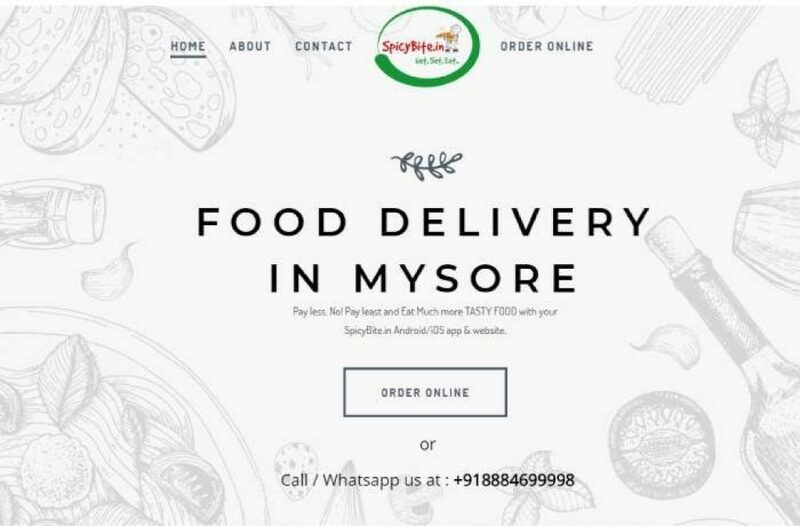 Spicy Bite is solving online food ordering problem in Mysore. Spicy Bite is providing anytime delivery, no minimum order, and many food verities. They are especially maintaining proper hygiene in their food and believes in pay less and eat more. Techies, foodies, Food science graduate, hard workers, we are 4, we cook, we eat, we review, we prepare with care, we deliver With love, Experiment with new food.